Buying an emergency generator is a great first step in protecting your family from power failure. But, even the most diehard prepper cannot predict the next power outage. There 2 ways to connect a portable gas generator to a home: plugging in each appliance with individual cords or powering a circuit panel using a transfer switch. During storm season the biggest question we get is: "What's the difference between extension cords, generator cords, and using a switch?" The answer is quite simple. It all comes down to convenience and safety. Let's break down both types and how they're used. No matter what type of generator you have, always consult the owner's manual for detailed instructions and safety guidelines prior to operation. Under no circumstances should you plug a generator into a wall socket, known as backfeeding. Follow the generator pre-start checklist. Move the generator outside (min. 10ft away from openings). Run one gen cord from the generator and connect multiple appliances. 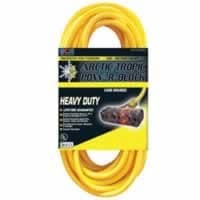 Run several extension cords from outside to connect to appliances. 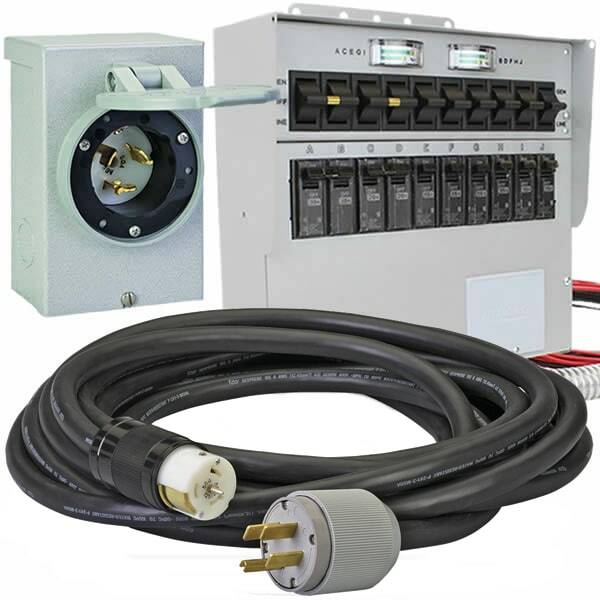 Connect the generator to the transfer switch using a gen cord. One at a time, turn on the circuits you want to power. How Should I Connect My Generator? Obviously, the cheapest way to connect your generator is by using extension cords. Except they don't allow you to use the full power of a large generator. It's like paying for something, but only being able to use half of it. What isn't so obvious is that extension cords are time-consuming and potentially hazardous to use, especially during a blackout in a heavy storm. In fact, using the wrong gauge, length, or a worn out wire can be outright deadly, posing shock and fire hazards. If you're using an inverter, and you only need to power a couple appliances like a refrigerator and some lights, a proper extension cord will do the job. 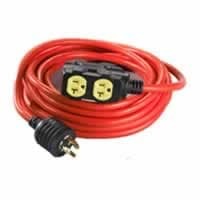 If you're using a mid-sized generator and comfortable plugging in appliances during a storm but still want to use cords, your best bet is to invest in a Gen-Cord. You simply plug the gen cord into the 20- or 30-amp outlet on your generator. The opposite end splits into several household outlets, where you can start connecting additional extension cords safely indoors. The best option in terms of power, safety, and convenience, when connecting a large portable generator, are power transfer systems. They contain everything you need to hook up your generator to your house. More importantly, power transfer systems energize entire circuits instead of appliances. They can power hard-wired appliances - like air conditioners, furnaces, security systems, and lights. How to Hook Up a Generator.. Our Power Equipment Direct how-to library can help you learn about How to Use a Generator for Tailgating, How to Get the Right Generator for Your Home and How to Save Electricity with Load Shedding.